What is it like driving an SL-C on the street? It's obviously a very capable sports car, is it so capable that it's not really fun to drive? Obviously you can't really explore the limits on most public roads, although you could certainly have a great time on some empty canyon roads. But what's the noise, the heat, the windows that don't come down, the height, the lack of storage, the constant questions, the ingress/ egress, etc. really like when you just want to drive 45 minutes through town to visit your mom or something? Do you guys trust your cars enough to take a 3 day weekend trip in it or does that create too much risk of a break down or something else happening? I drove my car on the Hot Rod Power Tour this year. Around 1300 (?) miles in a week. Great on woman-smooth roads, noisy on ground concrete roads with expansion joints. Tillet B5s very comfortable on long trips, AC works well even in very hot and humid conditions with traffic jams. Opening windows are overrated- I never open my windows in my regular cars except to get the mail- and the SLC is too low to reach the mailbox. Constant questions are a thing. I have a sign for that. Plan on sunglasses to protect you from all the camera flashes. Even got decent mileage on the Power Tour- a high of 26 MPG I think, which is not bad for how it was driven. Clutch and brakes have good effort and feel, steering is fine at speed, heavy when parking. You really can't drive the car at max performance for more than a second or two on the street- you just get to extra-legal speeds too fast. No storage, so I made custom luggage that fit between the seats and the sides. We looked like carpetbaggers every night at the hotels! There was enough space for a week's worth of clothes, though. I made custom luggage that fit between the seats and the sides. We looked like carpetbaggers every night at the hotels! If the trip involves an extended stay at only ONE destination, FedEx will solve any luggage problem one may face. Cam in Dallas has over 20,000 miles on his I think. Maybe he'll weigh in. 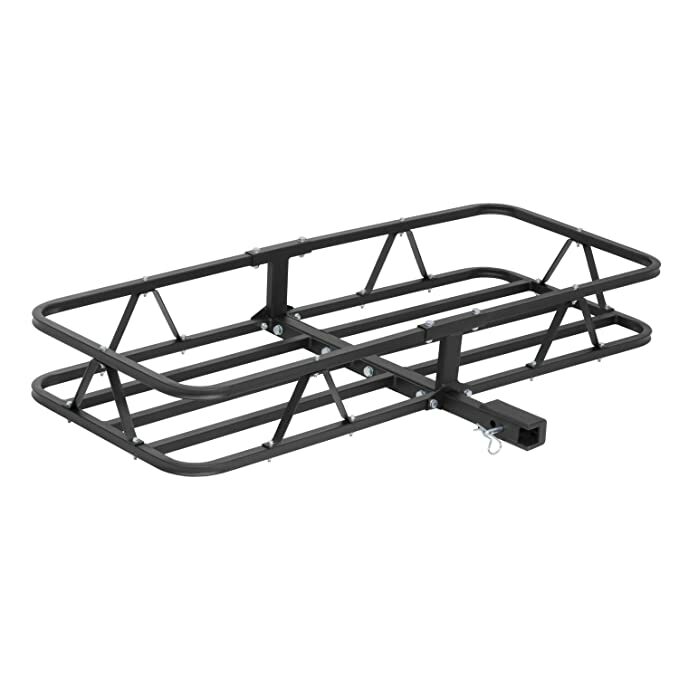 Something I've considered if I ever decided to cross-country my car would be to purchase one of those Thule cargo carriers. Remove the rear wing (you're not going to need that if you're just touring) and drill a few holes for the front mount (something discrete enough you can plug later and not have it be too obvious. It may also be possible to use one of those suction-cup type bike mounts in lieu of something hard connected. If you're really creative you can make an intermediary mount that allows you to have a rear attachment point for the cargo carrier and still have your rear wing. Mounts would have to be fairly beefy but it should be doable so long as you pick your mounting points carefully. I would hate to drill into the frame but you might be able to come up with something using places already drilled. My sister and her husband had an E-type Jaguar and pulled a small lightweight fiberglass trailer behind it on longer trips. It did not look goofy. Ever the paranoid nail biter, I'd do two things if I were to install a 'hitch rack" on any car: (1) install brake/running lights on it as high up as logically possible...at least level with the vehicle's tail lights if not a bit higher (too many idiots on the road), and (2) attach a vertical 'rod' at each outside rear corner to tell me exactly where those corners ARE when backing up/parking/whatever. Yeah - it'd look stupid...but then, how 'kool' does a hitch rack ITSELF look? 'Sure would beat the crap out of smacking it into something and damaging IT and/or the car. I personally wouldn't run a trailer, or any other external contraptions. The main point in a huge road trip is to hit all of the relatively abandoned curvy public roads I rode when I was in college on my GSXR750 over 20 years ago. That and to see some sights. Attachments don't work the first time you hit 1g on a public round about. PS. Is there any room on most builds in the front clamshell to throw a couple of duffle bags without interrupting air flow through the cooling package? You may end up having to re-think what you call luggage, but that shouldn't be a roadblock to anyone on this forum. These are dry bags from my sea kayaking gear pile. No issues on a 1000 mile 4 day weekend. Get creative. Should have included that it was 4 days for my wife and me in those two bags. Sun - just about every question you have concerning noise, rain, luggage room, etc is going to be so builder dependent that no one can answer these questions for you. I believe you’ve stated you’re looking to buy a completed car - so whatever that builder did to address those points is what you would end up with. There’s no “standard” build when it comes to those points so I’m afraid the only legitimate answer we can give you is - find a car you think you want to buy and test drive it. As far as luggage in the front clam ... I’m not so sure that’s a good idea unless the builder has specifically built their car with that in mind. The “standard” SLC front end configuration leaves very little room for much and if you do decide to shove duffle bags up there you’re likely to kill your radiator flow. I suppose you could shove some things in front of the wheel wells, on either side of the radiator, so long as the builder installed front wheel well liners. Maybe Bill (rumbles) will sell you his car. He built the front clam specifically for a luggage compartment. It's an exceptional build and very streetable. Bill has entertained selling his car, but one thing to consider is that these things take additional engineering, time and money. Sounds like you'd prefer a serious all 'rounder' build. There are few out there and one will not buy one for the price of a standard-ish build. For sure I'd be looking for a very well finished out and complete high dollar build. I work 12+ hours per day. I'm darn mechanical and can repair most things but i'm no fabricator as many of you are. Nor do I have the time, and even money at these levels is an issue. To be blunt, i'm looking for a master builder that spent $200k on an amazing car, that is ready to sell it for 5 figures. Things depreciate, particularly custom one off things. And a $60k well developed ME C8 right around the corner is probablly going to have some effect on values as well. The ME C8 is still a year or so away, and the first version will more than likely be 150k+, and very limited. The second part if your statement is not correct at all but this isn't the place to get in to that.